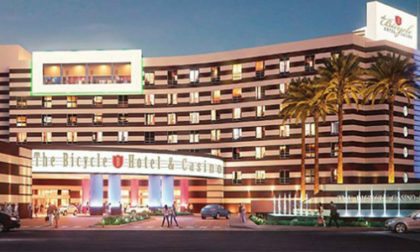 The Bike has also been among the most prominent poker facilities in the western US for many years. The casino’s 195-table room hosts around-the-clock cash game action and daily tourneys (both of which were interrupted by the raid), and it has served as a home fo several major traveling series, inckuding both the WPT and the WSOP’s Circuit series. The most recent WSOPC stop at the Bike concluded less than a week ago.